40 sheets 180gsm, acid-free. Black cartridge paper suitable for pencil, pen and ink and chalk artwork, as well as being ideal for mounting sketches or as a scrapbook surface. A hardback outer casing protects the enclosed paper. 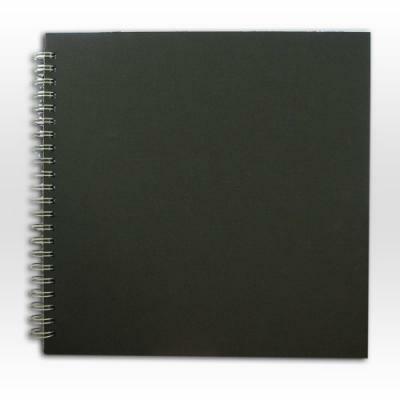 Excellent as a scrapbook - Daler Rowney Black Spiral Sketch Book 12"x 12"